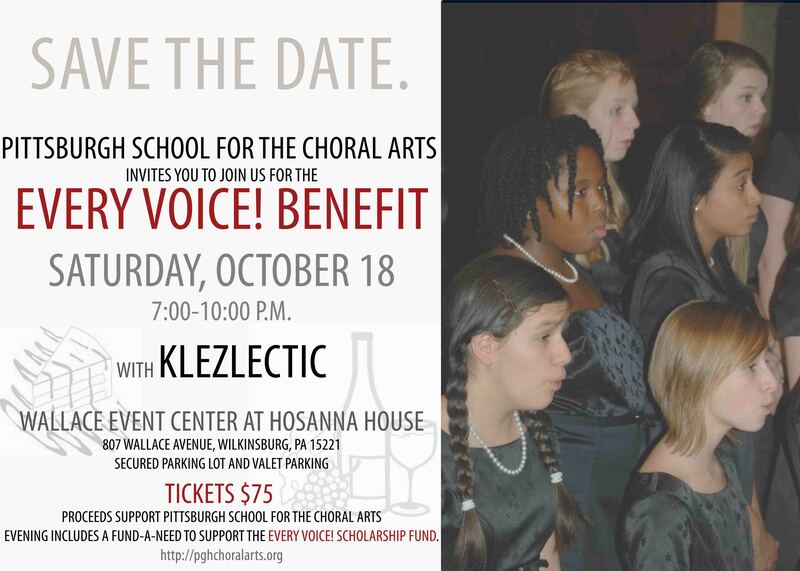 Friends, we have received information about an upcoming concert being performed by Klezlectic, to benefit the Pittsburgh School for the Choral Arts (PSCA). This program supports the nearly 100 members of the PSCA, children from first through twenfth grade from all around Pittsburgh. 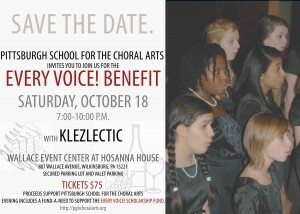 Some of you may have heard one of their choirs performing at the Jewish Music Festival this past spring at Rodef Shalom, and this benefit concert by Klezlectic will support their continued music education and performances. For details, click HERE.